Supplier & Trader of Cut Off Saw & Cut-off Saw. Our product range also comprises of Rotary Hammers, Demolition Hammers and Impact Drills. Since the inception of the company, we are instrumental in supplying and wholesaling the best quality of Bosch GCO 2000 Professional Cut Off Saw. The offered cut off saw is ideal for multiple layer cutting applications. Being a quality conscious name, we assure that the optimum quality of the offered cut off saw is never compromised. For meeting the precise needs of our clients, we offer this cut off saw in various specifications. Leveraging by the vast experience and in-depth knowledge of this domain, we are instrumental in offering the best quality of Bosch GCO 2400 J Professional Cut Off Saw. The offered sharpex cut off saw is used for different cutting applications. Its optimum performance, robust construction and power motor, make this sharpex cut off saw highly demanded. Keeping the update about the latest happening in this domain, we are engaged in supplying and trading Bosch GCO 2 Professional Cut Off Saw. Due to its high performance, excellent cutting efficiency, thermal stability and robust construction, the offered metal cut-off saw is used for metal cutting applications. Rendered by us at industry leading prices, the offered metal cut-off saw is highly demanded. 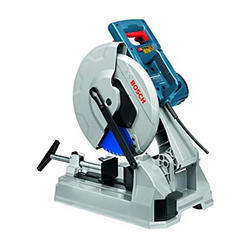 Owing to our rich experience and knowledge of this domain, we have been able to supply and trade the finest quality of Bosch GCD 12 JL Professional Cut Off Saw. Procured from the trusted vendors of the industry, the Bosch cut-off saw is used for cutting various objects such as metal and wood. 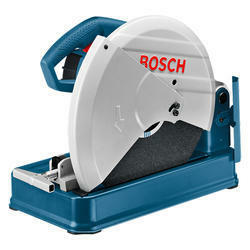 Besides this, the offered Bosch cut-off saw is highly appreciated for its excellent cutting efficiency.